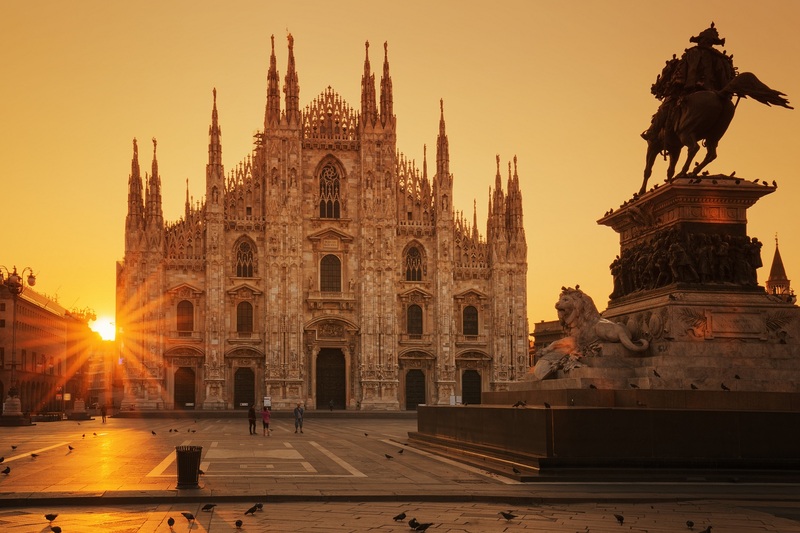 Founded around 400 BC, Milan has, for centuries, been an important commercial and cultural center. As well as being a city of internationally recognized economic importance, Milan is a surprisingly green city. There are a number of parks and gardens to be discovered along itineraries also including the town’s many monuments and museums. Amongst the more prominent sites are the Milan Cathedral, Sforzesco Castle, the Vittorio Emanuele II Gallery, the Scala Theatre, the Gallery of Via Manzoni and the Palazzo Reale. Milan has a number of prestigious museums, including the Cenacolo Vinciano chapel housing Da Vinci’s Last Supper fresco, the Milan Civic Museum, the National Museum of Science and Technology Leonardo Da Vinci and the San Siro Museum. Also not to be missed is Milan’s elite fashion scene, with the opportunity to see and shop for the latest high-end designer fashion trends in the world.